The Osborne Writing Center at Hathaway Brown School is proud to welcome nine talented visiting writers in the coming months. These poets, novelists, journalists, and essayists will be sharing their work and interacting with Upper School students in a variety of venues. Some programs will be open to HB parents and the larger community as well. We’ll be sure to share appropriate details about those events soon. In the meantime, take a few moments to learn more about these talented visitors by reading their biographies below, and please feel free to explore their websites and encourage your daughters to do the same. And mark your calendars for the fifth annual Young Artists & Writers Festival, November 3-5, 2016. This three-day extravaganza of creative writing, painting, printmaking, comics, songwriting, and playwriting workshops is open to Northeast Ohio girls in grades 9-12. Learn more about the festival here. Registration is now open. Financial aid is available. 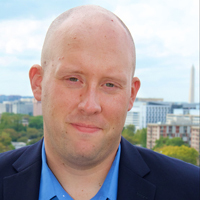 Kyle Kondik, a widely cited expert on American campaigns and elections, is managing editor of Sabato’s Crystal Ball, a nonpartisan political tipsheet produced by the University of Virginia Center for Politics. He is from Greater Cleveland and lives in Washington, D.C.
Clint Smith is a writer, teacher, and Ph.D. candidate at Harvard University. He is a National Science Foundation Graduate Research Fellow and was named the 2013 Christine D. Sarbanes Teacher of the Year by the Maryland Humanities Council. He is a 2014 National Poetry Slam champion, a Cave Canem Fellow, and his writing has appeared or is forthcoming in The New Yorker, American Poetry Review, The Guardian, and Boston Review. His TED Talks, The Danger of Silence and How to Raise a Black Son in America have been collectively viewed more than four million times. His first full-length collection of poems, Counting Descent, is forthcoming from Write Bloody Publishing on September 15. Peter LaBerge is the author of the chapbooks Makeshift Cathedral (YesYes Books, 2017) and Hook (Sibling Rivalry Press, 2015), recently acquired by the U.S. Library of Congress and included on the American Library Association’s Over the Rainbow List. His work appears in Beloit Poetry Journal, Best New Poets 2014, Colorado Review, Indiana Review, Iowa Review, Pleiades, Sixth Finch, and Washington Square Review, among others. 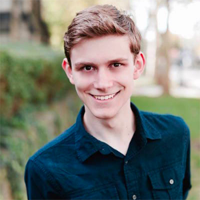 He is the recipient of a fellowship from the Bucknell University Stadler Center for Poetry and the founder and editor-in-chief of The Adroit Journal. He lives in Philadelphia, where he is an undergraduate student at the University of Pennsylvania. Heather Christle (pronounced “crystal”) is the author of What Is Amazing (Wesleyan University Press, 2012), The Difficult Farm (Octopus Books, 2009), and The Trees The Trees (Octopus Books, 2011), which won the 2012 Believer Poetry Award. A new collection, Heliopause, was published in spring 2015. Her poems have appeared in publications including Boston Review, Gulf Coast, The New Yorker, and The Best American Poetry. She has taught poetry at Antioch College, Sarah Lawrence College, the University of Massachusetts Amherst and Emory University, where she was the 2009-2011 Poetry Writing Fellow. A native of Wolfeboro, New Hampshire, she lives in Yellow Springs, Ohio. Anchee Min’s writing has been praised for its raw, sharp language and historical accuracy. 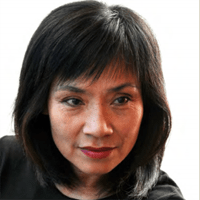 Her bestselling memoir, Red Azalea, the story of her childhood in communist China, has been compared to The Diary of Anne Frank. Min credits the English language with giving her a means to express herself, arming her with the voice and vocabulary to write about growing up during China’s Cultural Revolution. “There was no way for me to describe those experiences or talk about those feelings in Chinese,” she has said of a language too burdened by Maoist rhetoric. Today, she writes candidly about events she was once encouraged to bury. The New York Times has called her “a wild, passionate and fearless American writer.” Her latest book continues where her bestselling memoir Red Azalea left off. The Cooked Seed: A Memoir tells the story of Min’s struggles to find herself in a new land. 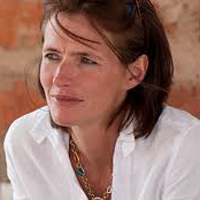 Alexandra Fuller has written numerous books, including Don’t Let’s Go to the Dogs Tonight: An African Childhood (Random House 2001), which was a New York Times Notable Book for 2002, the 2002 Booksense Best Non-fiction book, a finalist for the Guardian’s First Book Award, and the winner of the 2002 Winifred Holtby Memorial Prize. Her 2004 Scribbling the Cat: Travels with an African Soldier (Penguin Press) won the Ulysses Prize for Art of Reportage. She also is the author of The Legend of Colton H Bryant (2008 Penguin Press). 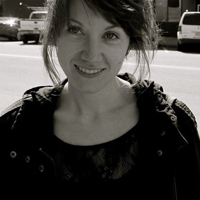 She contributed the essay about Wyoming that appears in the 2008 book State by State: A Panoramic Portrait of America. Fuller’s book Cocktail Hour Under the Tree of Forgetfulness (Penguin 2011), is a prequel/sequel to Don’t Let’s Go to the Dogs Tonight. Her latest book, a memoir of marriage and divorce, is entitled Leaving Before the Rains Come (January, 2015). Fuller has written extensively for magazines and newspapers, and her work has appeared in The New Yorker, Vogue, and National Geographic. 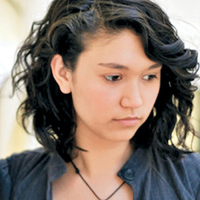 Sarah Kay grew up in New York City and began performing her poetry when she was only 14 years old. Even though she was often the youngest poet by a decade, Sarah made herself at home at the Bowery Poetry Club, one of New York’s most famous Spoken Word venues. In 2006, she joined the Bowery Poetry Club’s Poetry Slam Team, NYC Urbana, and competed in the 2006 National Poetry Slam in Austin, Texas. That year, she was the youngest poet competing at Nationals. Sarah was featured on the sixth season of the television series Russell Simmons presents HBO Def Poetry Jam, where she performed her poem “Hands.” She has performed in venues across the country including Lincoln Center, the Tribeca Film Festival, and the United Nations, where she was a featured performer for the launch of the 2004 World Youth Report. She has also performed internationally in the Czech Republic, the United Kingdom, India, South Africa, the United Arab Emirates, France, Spain, Sweden, Australia, Mexico, and Singapore. In 2004, Sarah founded Project V.O.I.C.E. and has since taught Spoken Word Poetry in classrooms and workshops all over the world, to students of all ages. Sarah was a featured speaker at the 2011 TED conference on “The Rediscovery of Wonder” in Long Beach, California. Sarah’s first book, B (published by the Domino Project) has been ranked #1 bestselling poetry book on Amazon. Jamaal May was born in 1982 in Detroit, Mich., where he taught poetry in public schools and worked as a freelance audio engineer. 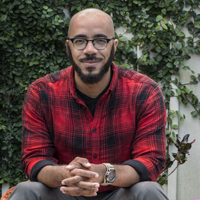 His first book is Hum (Alice James Books), which received the American Library Association’s Notable Book Award, Foreword Review’s Book of the Year Silver Medal, and an NAACP Image Award nomination. 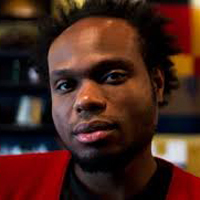 In 2014 Jamaal received more than a dozen awards and honors including the Spirit of Detroit Award, the Robert Frost Fellowship to Bread Loaf Writers Conference, The J. Howard and Barbara M. J. Wood Prize from Poetry, and a Civitella Ranieri Fellowship in Italy. His poems appear widely in magazines and have been anthologized in Please Excuse this Poem: 100 Poems for the Next Generation (Penguin), 2015 Pushcart Prize Anthology (Pushcart Press), Best American Poetry 2014 (Scribner), and elsewhere. Jamaal is a Kenyon Review Fellow and co-directs Organic Weapon Arts with Tarfia Faizullah. 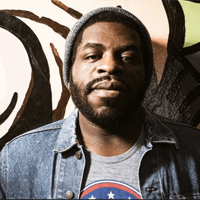 Hanif Willis-Abdurraqib is a poet, essayist, and cultural critic from Columbus, Ohio. His poetry has been published in Muzzle, Vinyl, PEN American, and various other journals. His essays and music criticism has been published in The FADER, Pitchfork, and The New York Times. He has been nominated for the Pushcart Prize, and his poem “Hestia” won the 2014 Capital University poetry prize. His first full length collection, The Crown Ain’t Worth Much, is forthcoming in 2016 from Button Poetry / Exploding Pinecone Press. He is a Callaloo Creative Writing Fellow, an interviewer at Union Station Magazine, and a poetry editor at Muzzle Magazine. He also is a member of the poetry collective Echo Hotel with poet/essayist Eve Ewing. Scott Parsons is the Director of the Osborne Writing Center at Hathaway Brown School in Shaker Heights, Ohio.